Holiday Gift Ideas for Kids | Breezy Mama Breezy Mama - Expert parenting advice, celebrity interviews, product reviews for kids, moms and babies and more! With the holidays coming up, we’re already getting inundated with commercials for THE children’s gift. Besides this year’s must-have Playmobil pyramid, or the newest Disney Princess, Tiana, why don’t you think outside of the box for your child? Here are some ideas to get you started. Imaginations run wild with the Rosie Flo’s colouring books–each one has a different theme–from gardening to fashion to princesses. They provide the pictures of the clothing, your child provides the arms, legs, and heads. Great for a rainy day when you need the kids to do some activities on their own. For you moms of boys, they also have the Johnny Joe’s series. $8.99, click here to order from Amazon. There’s something inherently cool about wooden toys, and this drum set is no exception. 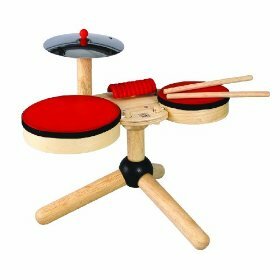 If you’re going to take the plunge and purchase your child some drums, make it easy(ier) on your ears and have it be wooden. $79.99, click here to purchase from Amazon. This block set recently caught my eye as a good toy for the baby. 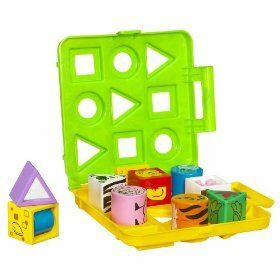 It’s a block set, a shape-sorter, and animal stacker, all in one. The best thing? It comes in a carry case making it portable. $24.96, click here to purchase from Amazon. 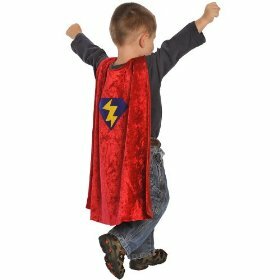 What parent doesn’t think that their child is a superhero? Prove it to them by giving them this cool cape. Available in pink for girls as well. $14.99, click here to purcahse from Amazon. 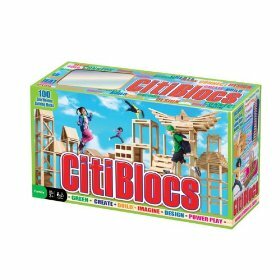 These blocks are different from the rest because kids can make complex buildings by just stacking the pieces of wood–no need to fit the pieces into slots or gluing them to make them stay. Great for the imagination while giving your child the opportunity for practicing their fine motor skills. $21.64 (for 100 piece set), click here to purchase from Amazon. That cape was a big hit in our home last year. This year we’re on the look out for dinosaurs! What type of dino toys are you looking for? We have several that have been big hits. I like your block spot. I have a grand-baby who is very smart and I think this will be a great gift to help with his learning skills. Thanks for the idea. Have a great holiday.